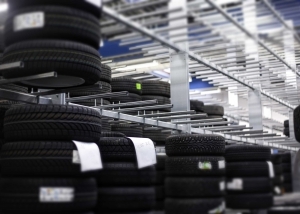 Ergonomic handling and compact storing are good deals for all companies involved in the tyre industry, whether they operate a complete tyre workshop, focus on tyre hotels or combine this with car sales. As we think in terms of systems, we always welcome a dialogue about complete solutions optimally adapted to your needs. Get in touch with us if you have any special wishes, and we will build a solution outside our usual range. 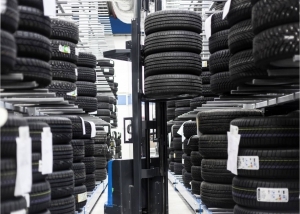 Ergonomic handling and storing of stacked wheels. 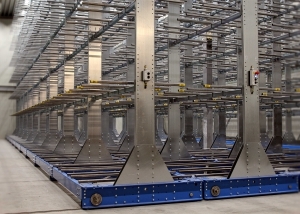 Ergonomic compact warehousing on rails for stacked wheels. 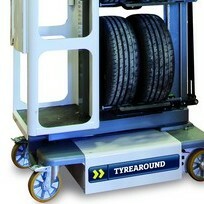 Electrically powered TyreAround lifts you and four wheels as far as 4.6 m.
Electric or manual trucks for stacked wheels. 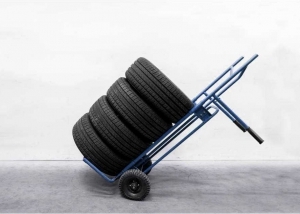 Ergonomic cart that saves the body from heavy lifting.